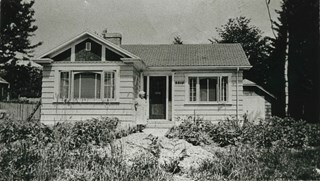 Photograph of the Pearson family home at 2215 Inverness Street (later renumbered and renamed 6693 Arcola Street) built by George Pearson after arriving from the Prairies. 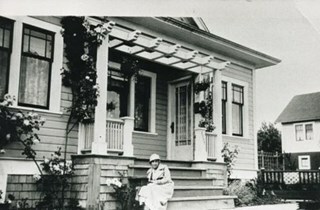 Photograph of Lucy Pearson on the steps of the house built by her husband, George Pearson, while the family lived in the garage at 2531 Inverness (now changed to 6627 Arcola Street). Photograph of the second Thomson family home, on Inverness (now Arcola). 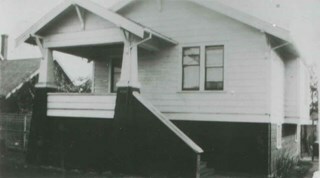 The house was built in 1911 and is photographed here in the 1980s, with the exterior little-changed. Photograph of the home of the Charles Rummel family at 1805 Inverness Street (now Arcola Street). 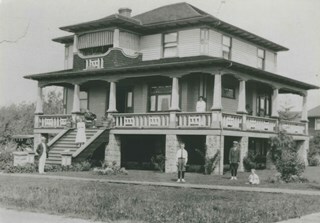 Identified, left to right: Charles Rummel (in hat), Elsie Rummel (daughter, on stairs), Reeve Alexander K. McLean (seated on veranda), Fred Rummel (son, on lawn in shirtsleaves), Mrs. Frances Rummel (wife, standing on veranda), Adolph Rummel (son, on lawn with cap), and Dorothy Rummel (daughter, sitting on grass). 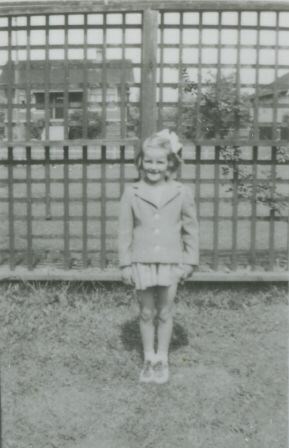 Photograph of Lorraine Auvache, six years old, in the yard of 1536 Inverness Street (later 7264 Arcola Street). Arcola Street is in the background. 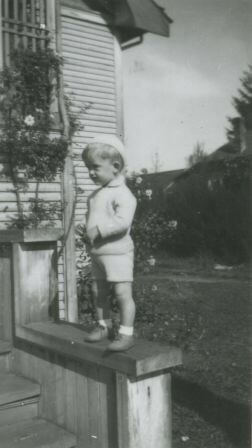 Photograph of Lorne Auvache, eighteen months old, on the porch of the family home at 1995 Inverness Street (later renumbered and renamed as 6905 Arcola Street). 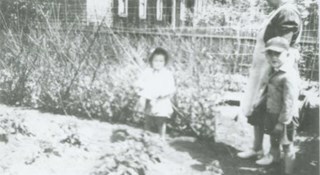 Photograph of the Auvache-Murley family in the garden of the family home at 1995 Inverness Street (later renumbered and renamed as 6905 Arcola Street). Left to right: Lorraine Auvache, Grandmother Murley, and Lorne Auvache. 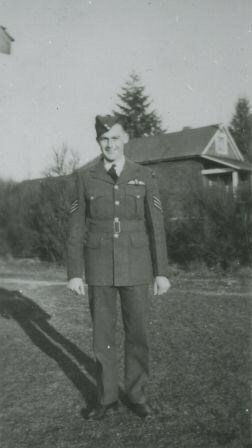 Photograph of Harold Smith, in a Royal Canadian Air Force (RCAF) uniform, at the side of the Auvache family home at 1995 Inverness Street (later renumbered and renamed as 6905 Arcola Street). The unform that Harold is wearing has been identified as that of a Sgt. Pilot - note the full wings above the breast pocket. 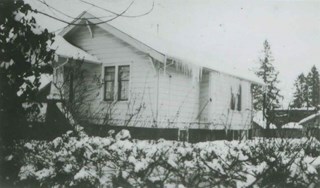 Photograph of the Auvache family home at 7264 Arcola Street in the snow. Photograph of Lorne Auvache wearing a hat and mittens on the 7200 block of Arcola Street. 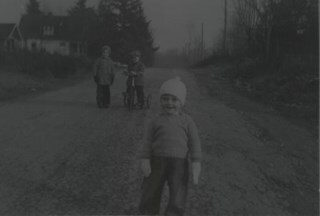 A young boy is on a tricycle, and another young boy is standing beside him in the background. 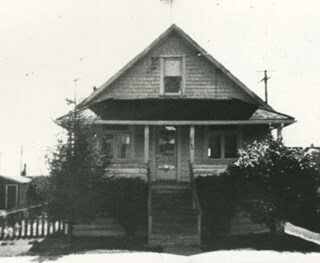 Photograph of the Auvache family home at 1536 Inverness Street (later 7264 Arcola Street).